The other day I was going through my backlog of RSS feeds about stationery, and I noticed a post about some notebooks which really caught my fancy. 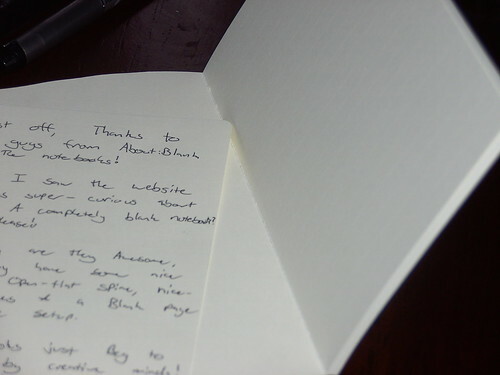 They were called “About:Blank“, which coming from a web developer background was instantly awesome. I sent an email to the company, and they got back straight away offering to send me some samples to review. 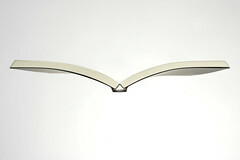 About:Blank’s design strategy is to perfect minimal, and to let you do decide how to use it. This really appeals to me, as I much prefer a minimalist approach to almost anything. 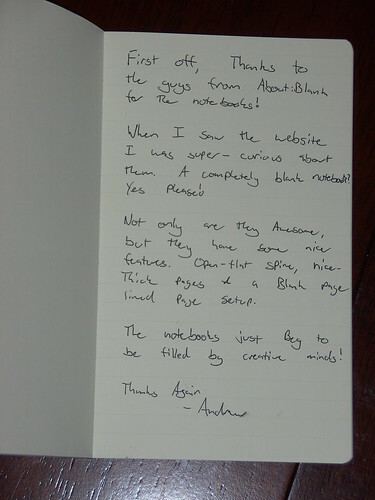 I received the notebooks last Friday, and have given them a decent test. My first impressions are really good. 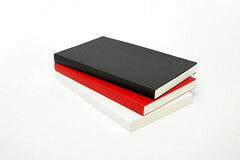 The notebooks have been created so precisely that every single page lines up. 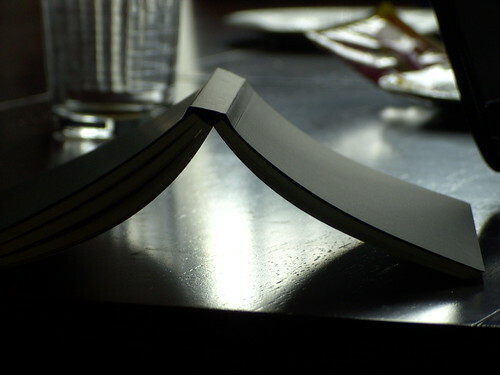 The binding is quite impressive, it allows you to open the notebook flat, it doesn’t bend or crease on particular places, and every page is able to be removed without causing the rest of the book to sag too much. 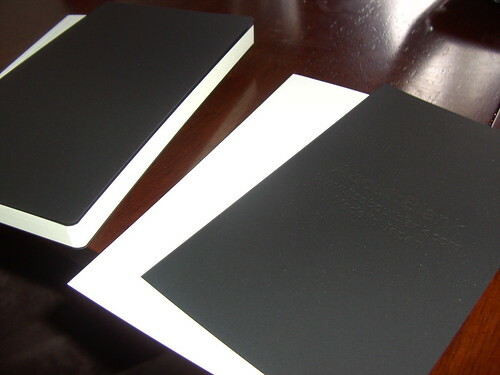 The cover is a smooth, almost velour feeling cardboard, with a stiffer “secondary” cover as the second page. This helps the book maintain it’s rigidity, but keeps it feeling amazing and looking incredibly slick. 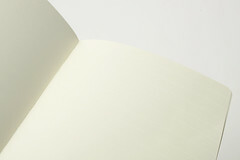 The paper is a thick, ivory colour which has been “designed to be easy on the eyes”, and it holds ink quite well. I used a Pilot V5 rollerball pen to write the following, and it looks nice, and the pen doesn’t show through at all. Every page is “white-lined” on one side, and blank on the other. The lines are fairly visible when writing, but they do not show up on photocopiers or scanners. Great if you want to digitise a sketch on one page, and notes on the other, without having garish lines through your work. 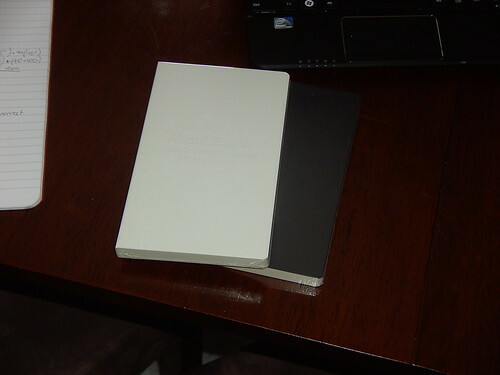 While the notebook is not a Moleskine or Rhodia, and it doesn’t have a closing strap, or a back pocket or a hard cover version, I think that the market for this notebook wouldn’t care. After seeing it’s simplicity, how well it has been designed and crafted, and it’s usefulness I would have to say I think the designers have hit the mark. If you want a notebook which won’t cramp your style, this is the one.